National Fitness Campaign partners with outstanding cities, landscape architects and colleges to bring free fitness to parks, developments and campuses across the country. See all our current partners. 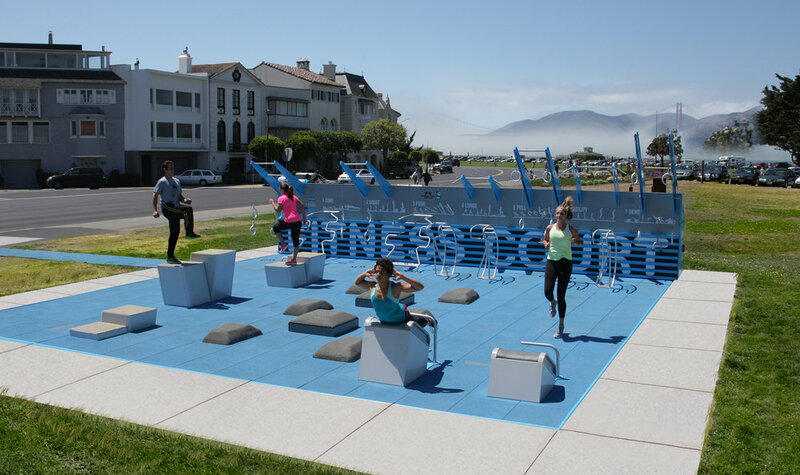 The Fitness Court is a unique exercise platform designed for parks and community spaces. Whether you are a fitness professional or working out for the first time, our outdoor system provides an accessible way to get healthy and stay fit. NFC is honored to partner with healthcare, fitness and lifestyle partners across the country to help fund Fitness Courts in communities of all sizes. Learn how to bring a Fitness Court to your community.